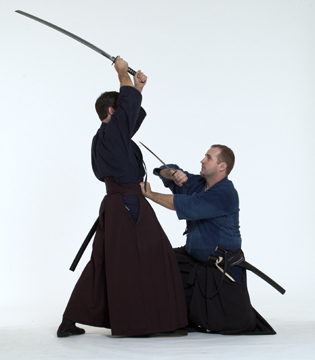 Services and fees are considered on a case-by-case basis to the entertainment industry in regards to Japanese martial history/ fight consultation, fight choreography, acting, and performances for various special events. The principal members of the Nichigetsukai have extensive experience in the entertainment industry, having worked for companies such as Warner Brothers and DreamWorks in the areas of feature film (live action and animated) and television (live action and animated), in a variety of capacities. 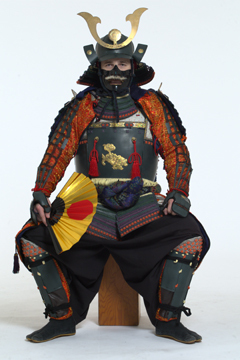 Though our members specialize in Japanese martial arts, various members also hold experience and skills in the areas of: Law enforcement; VIP protection; firearms and tactics; emergency vehicle operations (pursuit driving); sky diving (USPA certified); scuba diving (PADI and SSI certified); outdoor survival and leadership (NOLS); and rock climbing. 1997 - "To no Kaze" (Wind Sword). Co-choreographed and co-starred in speculative film pitch project (approximately five minutes) sent to George Lucas for consideration. Played the lead adversary and additional adversaries in a continuous Japanese style sword fight shot on the sands of Malibu beach. Client - T. Wilkins (star and producer). Contact information not available. Hired to provide a live Japanese sword performance (approximately 10 minutes) as part of a larger corporate promotional event. Client - JMP Creative; 3885 South Main Street, Santa Ana CA, 92707. G. Rodriquez (coordinator) - 714/ 546-5411. Hired to choreograph, train the lead, and co-star in speculative film pitch project (approximately 1-2 minutes) for major studio consideration. Played the lead adversary and additional adversaries during a continuous modern/fantasy genre empty hand/ weapons fight scenario shot in an alley. Trained the star in empty handed fighting methods and various choreographed scenarios. Client - Autumn Moon Productions; 420 N. Genesee, LA, CA 90036. J. Wolf (producer) - 323/ 653-7266 and M. Mendez (director) - 818/ 260-9980. 2002 - "The Last Samurai". Hired to choreograph and perform a paired Japanese style sword fight scenario (approximately 20 seconds long) to be used in a Flash animation intro to the official "The Last Samurai" feature film webpage. Scenario was performed both with and without full Japanese reproduction armor. Contractor had specifically requested authentic and dynamic techniques. Raw footage available upon request. Finished footage no longer available on the "The Last Samurai" web site. Client - Varas Photo Media; 2830 South Robertson, Los Angeles, CA 90034. L. Varas (contractor) - 323/ 937-3793 office. 2003 - "The Last Samurai". Hired for services as a Japanese Historical and Martial Arts Consultant (Meiji Period) for early Japanese sword fight sequences shot between star Tom Cruise and various adversaries (choreographed by Nick Gillard). Advice was offered based on daily footage provided by Warner Brothers. The film was later nominated for (4) Academy Awards and (3) Golden Globe Awards. Client - Mojo; 9000 Sunset Boulevard, Suite 600, West Hollywood, CA 90069. J. Lamont - 310/ 777-6700 office. Hired for two segments of a National Geographic Channel two-hour martial art entertainment-documentary. Contributions included performances and explanations of Shurikenjutsu (thrown blades) and Japanese Swordsmanship (test cutting). Following is a Youtube link to an edited version of the Swordsmanship segment. Following is a .wmv movie file to the Shuriken segment. Client - Base Productions; 16961 Thunder Road, Haymarket, VA 20169. M. Stern - 703/ 281-3700 office. Hired for featured appearances in a two-part reality show pilot for The Learning Channel called "Outrageous 911". Consisted of non-scripted reacitions to actual police radio calls for service (recreated) from around America. Client - Mike Mathis Productions; 87 N Raymond Ave # 900, Pasadena, CA 91103. M. McLeod - 626/ 535-0868 office. Nichigetsukai reserves the right to decline any request or proposal with or without reason, and based on availability of qualified members. Please feel free to contact us at the email address below for further information. Nathan Scott, or call (323) 821-8730 cel/vmail.